Michael’s cat Sara died earlier this week. Michael is my brother who pretty much runs the Internet business. Sara had been eating less, been less active and losing weight. I examined her this Winter, and palpated a number of firm masses in her mammary glands. A disease with a poor prognosis in cats- by the time it has been diagnosed most cases have spread to other areas of the body. But she continued to be happy, eating enough to maintain her weight, going outside to protect her family against those mighty mice predators. Then 6 months later she started to have difficulty breathing. Meaning the cancer was in her lungs, likely producing fluid, making it difficult for her to breath. Michael and his wife Shannon talked about taking her to a Veterinarian for euthanasia, but Sara rallied, and started eating again. We were away together in Toronto at Woofstock, and Michael wondered if she would have to be ‘put to sleep’ while he was away. But she hung on, still picking at her food and sleeping on the couch. Then the night he was back from Toronto she died in her sleep. Our pets are more connected to us than we think. I’m sure Michael and his family would appreciate condolences. You can leave a comment here. I’m sorry about Sara. It’s always hard to loose a best friend. L.
Our pets are our family. Sorry for your loss. To Sara’s family, Michael and Shannon, my heart and prayers go out to you. I too just lost my Boo Bear (looked just like cat from Pet Cementary) She was 21 yrs young. I just feel all our pets are gathered together having fun waiting to me re-united with us. You all take care and have peace, I’m sure the love she had and felt by you all, she stayed to say the final goodbye here on earth. Michael & Shannon, you are in my thoughts & prayers. Know that Sara is young & healthy again & playing at the Rainbow Bridge where the grass is always green. Yes, I believe she waited for you to be with her. And a quote from the Gambler, The best thing you can hope for is to die in your sleep. Hi, my condolences and I know this must be a disapointment but you gave her a wonderful cat life and she can move on to her new life with the experiences and tricks she learned from the humans that loved and took care of her. I know she was warm, and cute and sweet, strong willed and passionate. She loves you and feel better really soon. So sorry for the loss of your cat, Sara. It is always hard to lose our pets. So sad a story – but she waited to die when you got home. With Abby’s cancer, I know my time with her is winding down. I pray she dies as peaceful as Sara did at home with me – not via a needle at the vet’s. I am so sorry to hear about your loss of Sara. Did she hang on to be able to say goodbye to Michael…I most certainly believe so. Our companions love us and are very connected to us. They hurt when we hurt, are happy when we are happy, and are frightened oftentimes when we are frightened. I am SO thankful to God that He took her in her sleep and that Michael and Shannon did not have to make that hardest of all (although oftentimes what must be done out of love to relieve pain and suffering) decisions to have to put her to sleep…I am glad that God did that for them. Again…you are in my thoughts and prayers. I am so sorry to hear of the loss of your cat, Sara. I have lost many beloved pets, and horses, over the years and I have no doubt that we are connected to them in a way that is difficult to explain. I also know that if we are fortunate, occasionally their soul/spirit returns to us in another cat or dog. This has happened to me once, for sure, and the experience changed my beliefs in all things spiritual forever. I am sure that you have read the “Rainbow Bridge” before, but I have included it here, just in case you haven’t. I am so sorry. I lost a kitty 4years ago, and though I have 2 new ones I love, I still grieve her. They are such a part of our lives. I’m so sorry to hear about the loss of your beautiful Sara. My deepest condolescences. So sorry about sweet Sara. I am a believer that we will be reunited with our pets in a better place. Big hugs to Michael and Shannon. So sorry about your beautiful Sara. She must have wanted to be near you one last time…. I know it is not an easy time for you guys to go through and How painful ur heart is right now. I beleive Sara is in a better place now and without pain. May God heal the pain in your heart. Jesus loves u all! Condolences from the Thomas family, including Bronco & Joely (beagles). We too have gone down this road that you are experiencing now. Hearts break a little each time we lose one of our four-legged babies. Sara was a very blessed kitty to have such a loving family to care for her and give her a great life. In my heart, I believe all our pets we loved will be waiting to greet us when we leave this earth life as well. May God heal your heart & comfort you. brothers. Sorry to hear of your loss. In the meantime, take good care and cherish the memories. So sorry to hear about Sara, but glad you were there when she died, I am sure she waited for you. You must have given her a wonderful life and the memories she left behind, will fill your lives with much joy! For Michael and his family: I am so very sorry for the loss of your furry family member, Sara. Praying for friends to comfort you, faith to uphold you, and loving memories to help you smile again. Our sympathy and empathy go out to Michael and family. Our brave old friend Pequito held on as long as he could but passed quietly before we returned from our vacation in South America last year. We would have loved to have seen him one last time to see him off as you did Sara. Look forward to another one to capture your heart as Cachito did ours! I am sorry to hear about Sara and her passing. Please know that my thoughts are with you at this time. I am so heartbroken for you on the loss of Sara, may she rest in peace! Having lost my 3 cats, one after the other, several years ago, reading of your loss caused me a lot of pain and sad memories. I felt a big void and very empty after this happened, for a long time – till I got my sweet little Chachi who’s been adorable comfort to me. May the memories of Sara’s sweetness comfort you! I’m so sorry for the loss of your cat, Sara. It’s so hard to lose our friends. I agree Dr. Jones, our pets are more in tune to us than we realize. I’m so sorry for your loss of Sara. I’m sure your dad is taking loving care of her as she crosses over the rainbow bridge. May your memories bring you comfort. My thoughts and prayers are with Michael and his family. I have lost dogs, ferrets, gerbils, a little lizard, a hamster, parakeets, little turtles throughout my life. I still have plenty of beloved pets now. I truly understand and empathize at your loss of your precious Sara. I believe we are all going to be reunited in heaven. So sorry for the loss of your little, furry loved one. I know it is hard to lose any of our pets. They become family, as soon as they enter our arms. To lose them breaks the heart. May God heal that emptiness you feel at this time, with all the wonderful memories you and Sara made together. God bless you, and remember The Rainbow Bridge. So sorry for your loss, I do believe she waited for you, pets are so much smarter than most of us realize. She is at peace and pain free and running with the wind. Dear Michael and Shannon and family: I am so very sorry for your loss. I hope you will be able to remember all the wonderful times you had with Sara and that those memories will bring more smiles than tears eventually. All your lives were so much richer for having spent time together here and may you meet again in the future. I lost my best friend kitty to lymphoma on new year’s eve so I can empathize with you. I hope we can work to find a cure for kitty cancer and human cancer! Purrs and purrayers, Stacy and fur-angels. Dear Michael and Shannon, My heart goes to you as I live with a cat,too and know how precious their fury presence is in our lives. I’m pretty sure that Sara waited for you, Michael to come home. Like your Sara, my previous dog would suddenly pick up his strength and live a little bit longer after what we thought was his last moments alive. Our animals seem to have this amazing ability of timing their departure to the Spirit World. I do hope that you’ll find it easier after a while knowing that your Sara has left so peacefully in her sleep. I’m so sorry about Sara. My 17.5 year old cat Princess has masses in her GI tract. I love her so much and I understand your pain. Michael and Shannon, It’s truly heartbreaking to lose one of our family members. May you be comforted knowing how much you loved her, and how much she loved you in return. It is a blessing that she is no longer suffering. I believe that love is the most powerful force in the universe. The only thing that makes life tolerable is knowing that ‘it’s all one thing’ and we are all reunited. It just seems to take so long to get there, but for those who’ve gone on ahead, it’s the blink of an eye. I send you hope. Dear Shannon and Michael, I’m very sorry for your loss. I know she was loved and will be missed. Thoughts and prayers to you both. Of course she waited! No doubt about it! My deepest condolences to Sarah’s family. I know those poor mice in heaven won’t stand a chance! I am so sorry for your loss. Take comfort in knowing that Sara is happy and healthy again. I am very sorry to hear about the loss of your cat. Cherish the memories and pictures you have they can never be taken away from you, she still loves you dearly and will be looking down on you both. I am so sorry for the loss of Sara. What an amazing picture of her. And how wonderful that she waited for your return Michael. I have to believe that we all connect again when we cross over. Love and blessings to both of you Shannon and Michael. I’m so sorry for your loss. Pets make our homes seem so much fuller and happy, so I’m sure that yours is feeling a little empty now. But I do believe that pets have a life after this one and that some day you will be reunited with little Sara to be happy forever. Until then, remember all of the silly, quirky things she did and how she made you smile. I’m sure she waited for her “daddy” to return from his trip so that she could say good-bye. I am so very sorry for your loss. I, too, have lost little darling angels; we never get over a loss, we just integrate the information… I think we are so blessed to have found our animals in the first place, and to have shared our lives with them. Your little Sara will live in your heart forever, and I’m sure you will never forget her. Our blessings to Michael and his family. I strongly believe Sara is waiting with her mouse pets, pain free, for her family to join her again some day. She is in a beautiful place! There are no words to express true sympathy for the loss of your dear Sara. Loosing a sweet furry companion is always too soon. It’s always good to remember the silly things Sara did and the great things she’s doing at the Bridge. She’ll always be with you in her own way. Sitting here w/ tears streaming down my face, for a family I don’t know and a cat I never met. Our four-walkers are such pure souls; in them is a love so deep and perfect. Sara has gone to see Cambium, to tell the other dogs and cats there of her former Earthly home. Rest assured, you WILL see her again. Until then, know that others share your sorry and understand your loss. Just lost my 20year bestfriend last month. Will take a long time to adjust to her absence. I feel sure she was united with lots of her friends. Just like Sarah. No replacement possiable. Just keep your heart open, So it can be filled again with love like u shared with Sarah. My thought and prayers are with you. I am so sorry for your loss of Sara. I do believe they know and she waited for you. I lost my 21 year old this March and it is always hard. Treasure the times and thoughts you had with her. I had videos of Gus which make me feel better when I see him. 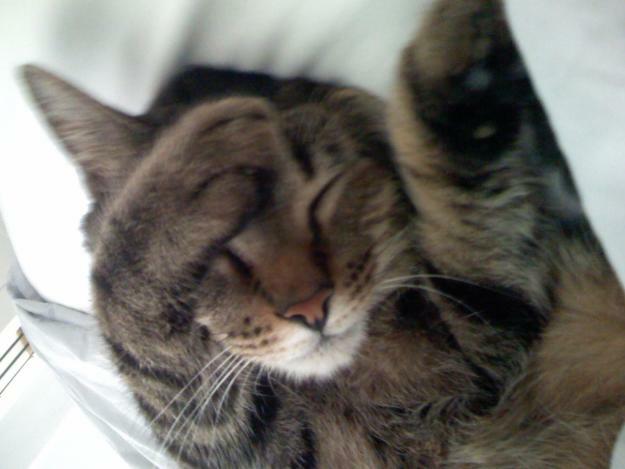 Michael and Shannon, I am so sorry to hear about the loss of your fur child – Sara :(…. my deepest condolences. Praying for her higher rebirth. So sorry for your loss. I know Sara waited for you to return to the safety of your home before she left…she needed to see you one more time and she will wait for you, as always, to join her in heaven. “just another cat”?…..N0, a beloved family member…who wove colorful strands of creativity and laughter thru your hearts…who gave joy even in waiting until you were home so she could have one last pat…..my condolences…. I was very sorry to hear about your beloved cat, Sara. I know how hard it is on everyone as I recently lost one of my young cats to pancreatitis. You will remember her with love and affection, and she will remain in your hearts forever. God bless. I’m on another web site for yorkies,2 passed away this week and a horse. Sara will always be in your thoughts and in your memories, when your journey’s done she’ll be there again for you. Dear Shannon and Michael- Sara knew how much she was loved and how much you cared. One of the reasons she waited for you, I am convinced. All our beloved pets are waiting for us and reserve us a place.They also communicate with new pets and help them to make us remember them in the very best ways. We are 85 and 84 years old and have a bevy of Yorkies and Toy Poodles waiting for us. Our best thoughts are with you both. To loose a beloved pet, a member of the family, is as painful as loosing a child. I am so sorry for your loss. I completly understand how you are feeling. We lost our kitty in 03 due to the exact same thing. I wish she would of passed in her sleep but she didn’t. My thoughts are with you as you go thru this difficult time. I’m so sorry for your loss of Sara. As an animal lover I’ve been through it many times and it never gets easier. I am glad that she went on her own terms though. They are precious and dear to us and I’m sure she had a blessed life in the love and care of your family. May you be comforted by your sweet memories of her. I am so sorry for your loss. Pets are like family and they love us like we do them. Yes, she did wait. She no longer suffers. I’m so sorry to hear of Sara’s passing. She will be running free in the fields in Heaven catching the mice. Dear Michael and Shannon, my deepest sympathies for the loss of your sweet Sara. I lost my Bonnie last October, and recently had to have my dog, Pearle, put down. It is always sooo hard to lose them, no matter how often we go through it, it never gets any easier. I am sure she waited for y’all to come home, so she could pass knowing her family was close and the love she always shared was surrounding her. I firmly believe we will all be reunited with our furbabies on Rainbow Bridge, and then be together forever. You gave her a wonderful life and you should be very proud of that. I always try to remember the good times and loved shared with my babies, it gives me some comfort, and that old saying, “time helps” is true. It will never stop hurting, but it will get easier. You are in my prayers and thoughts, as is Sara. Please know that I can appreciate your loss. However with that said, I know you will cherish always the memories you shared with your beloved cat Sara. For this, the last battle, can’t be won. Your love and friendship stand the test. What is to come can hold no fear. When the time comes, please let me go. Until my eyes no longer see. From pain and suffering I’ve been saved. Don’t grieve it should be you who this thing decides to do. Don’t let your heart hold tears. SMILE, FOR WE WALKED TOGETHER FOR AWHILE. Michael and Shannon,I was so sorry to hear the news of your lose. It is always so hard to lose a love one,but Sara will go on in your heart…………….may God give you peace. Hi Michael and Shannon…so sorry to read of Sara’s passing. I believe she waited for your return so that she could say goodbye to you in her own way. When my Himalayan cat passed away I found comfort in visualizing her happy and well at Rainbow Bridge. thing to lose a beloved pet. my condolences to you and your family. I am so sorry to hear about Sara. We are going through this ourselves. My cat Earl has had several tumors that I know are cancerous and have burst. Several times I have thought that I might have to have him put to sleep put he always healed. He is now coughing a lot and has a discharge coming out of his eyes and mouth. I am afraid he too has had the cancer spread into his lungs. Never easy to watch a family member leave us. God Bless. Michael and Shannon, I’m sooo sorry to hear of your loss. It’s always hard to lose someone you love but you know that Sara had a good life and lived it to the fullest still catching mice for you ’till the end :0) She’s at peace now and over the Rainbow Bridge and you have your wonderful memories. Celine Dion wrote this for her neice who died; a friend sent it to me after the death of my specal “heart kitty” Gabriela. I hope it brings some comfort to you in the loss of your beautiful Sara. And of course she waited for you and will always be with you in spirit. Michael, I’m so very sorry to hear about Sara’s passing she looks like she was a beautiful girl. Now she’s finally free to run, play and be healthy and whole again at the Rainbow Bridge while she waits for you and her mom to come home to her! I know it will seem a long wait til then but remember how much she loved you and that may help to take some of the sting out in time! Dear Micheal, Celine Dion wrote this for her neice who died; a friend sent it to me after the death of my special “heart kitty” Gabriela. I hope it brings some comfort to you in the loss of your beautiful Sara. And of course she waited for you and will always be with you in spirit. We are so sorry for your loss! We cry with you, whenever we hear of someome passing it reminds us of the precious kitties we have lost. It’s so very sad, but knowing they are well again and chasing mice, playing strong on the Rainbow Bridge is some consolation. It’s just not the same when we can no longer bury our face in their fur and kiss their precious faces and bellys! Sara was lucky to have you as guardians and we hope you have at least one other kitty (or two) in your home that will help you with your loss. My heart is sad to hear of your loss. I believe that Sara did in fact wait for you to return home. She didn’t want to leave without you being at home. May she rest in peace. May you and your family find peace knowing that you gave her the best life ever and she loved you dearly, unconditionally. You have my utmost sympathies for the loss of your beautiful Sara. Your bond with her is clear; she indeed waited to say goodbye to you. As one who has had all of my cat-family return to me in different bodies, I can say that without doubt she will return to you. I hope that comforts you. Just be aware when you meet another cat who has her same mannerisms (and maybe even the same meow). May your hearts be eased by the continuing love of Sara. My heart goes out to you in the passing of little Sara. How blessed you were to have her for such a long time. It still hurts, however, when we have to say good-bye. Those of us who are so blessed to share the love of an animal I’m sure look forward to meeting them again at “the bridge”. I am so sorry for your loss. They are so amazing and it is so hard to say good bye. Michael and Shannon, I’m sorry for your loss of Sara. I hope this gives a little comfort. Just this side of heaven lies the Rainbow Bridge. When a beloved pet dies, it goes to the Rainbow Bridge. It makes friends with other animals and frolics over rolling hills and peaceful lush meadows of green. Our pets do not thirst or hunger. The old and sick become young once more;the maimed and the ill become healed and strong. They are as healthy and playful as we remember them in days gone by. Though happy and content, they still miss someone very special, someone they had to leave behind. Together, the animals chase and play, but the day comes when a pet will suddenly stop and look into the distance…bright eyes intent, eager body quivering. Suddenly recognizing you, your pet bounds quickly across the green fields and into your embrace. You celebrate in joyous reunion. You will never again separate. Happy tears and kisses are warm and plentiful,your hands caress the face you missed. You look once more into the loving eyes of your pet and know that you never really parted. you realize that though out of sight, your love had been remembered. And now, you cross the Rainbow Bridge together. How well i can sympathize with the loss of a beloved pet! they are a huge part of our lives and make life more pleasant for us. I believe in the rainbow bridge where they await to be reunited with us. Death is never the end. Sincere condolences on the loss of your special family member, Sara. I did meet you in Toronto on Sunday, so I can put a face to your name. I am glad Sara waited for you to come home. I, too, lost my kitty of 14 years this week. He developed a high fever and had not eaten much of anything for 2 weeks. He, too, still tried to protect me by hunting down those dangerous chipmunks and squirrels until the very end. He, like your kitty, awaited my arrival home from work before making his transition. After he died, my lights flickered off and on 3 times with no disruption of any clocks or electrical appliances. I like to think my kitty or my angels were trying to comfort me. With the death of my kitty who was 14 years old, a chapter of my life was closed and it will be hard to move forward without him. My condolences to you on your loss. Nothing I can say will take away your pain but may it help to know how much I understand your grief. We’re never really ready to say goodbye. Michael — So so sorry for the loss of Sarah. I know she waited for you to return, and died in the best way possible. Her picture is so sweet. You will miss her terribly, I know. My prayers are for you and your family and, of course, for Sarah. I know you’ll meet her again. I am so sorry to hear of your sweet Sara’s passing. I know she was a family member, and having recently lost more than one family member myself, and knowing you have too, I really understand and feel for you. You have my deepest sympathy. I am sure Sara did indeed wait for your return, wanting the chance to say goodbye. What a blessing that she died in her sleep, knowing she was loved by the family members who were with her. My Zimba, a starving stray we rescued 8 years ago, and who has been diabetic for six years now is showing signs that he is nearing the end. We weep for him just thinking about it. And we love our other two cats and sweet dog Coco as if they were our human children. They are family, as Sara was family, and losing any member of the family is heart breaking. You have our sincere sympathy. I hope knowing that so many people care and are thinking of your family and of your Sara will bring you some comfort. Sara was lucky to have you as a companion in her journey, I’m sure you both gave each other shelter and comfort for all days that you shared! I just wept when I read about Sara. I am so sorry. 18 months ago I had to put my 15 year old teacup poodle down. I could barely eat for 6 months….lost 35 pounds and swore I would never have another pet. Well……I now have a 6 month old teacup poodle who is keeping me entertained. I still miss my first dog terribly, she was one of a kind…but this one has her adorable traits as well. May God help you at this time of need. Deepest love and sympathy to Michael and his family, and yes I truly believe Sara waited long enough to say her final peaceful goodbye without you having the heartbreak of putting her to sleep. My heart really goes out to you guys, and again I love to receive your emails daily, its so great when you see the emotional caring side of all vets, and you two guys are great. Tomorrow is the anniversary of my having to have my last Westie dog put to sleep, and still it hurts deeply, but for sure I know your Sara knew she was loved so deeply by you all. God bless you all, pain will ease. So sorry about Sara I know she will be missed greatly. I know she waited for you to return home. I lost my Sophie almost 13 years old last December. She also died in her sleep. The cancer had spread to her lungs. She is at peace and her ashes are here on my desk, waiting to be spread with mine. It hurts when you lose a pet. I have gone through it so many times. We become so attached and that is a good thing. Bless Sara and you for being a good friend to her. Sara would not want you to be unhappy, therefore, another kitty is needed in your household to love. I’m so sorry for your loss. I believe whole heartedly that Sara did wait for Michael. Our pets are like our children, and we will never get over their loss, we just grow stronger and learn from the unconditional love that our pets share with us. We are blessed to have such companions in our lives. I am so sorry for your loss. It is so hard, the letting go, but we are blessed to have the chance to share our lives with our sweet companions. Their memory will stay forever. Have fun, sweet Sara, wherever you are now. I believe with my heart our beloved pets are sent to us from a greater being and we are to love and care for them. I ask myself what kind of world would this be if we could not believe we would see and know them again as I have a beloved min pin that was taken from me at 11 years old and I still grieve for her. Bless you and god bless Sara. Of course she waited for your return, you who gave her the most precious thing we can give to another living creature – your love. Feel lucky and loved that she saved her last moments for you. My condolences, Shannon and Michael. It’s never easy to lose a pet. What a beautiful cat she was! I’m so very sorry for your loss. She sounds like a loving true cat…waiting for the right time. It is so hard when to know when the time is right, she got to pass peacefully. What a gift to not have to make that painful-but often necessary decision. Condolences to all who loved Sara. It is so hard to lose them! I am so sorry for your loss. I understand your feelings. I lost my dalmation, Splatter Sept. 15, 2010. I had her for 16 Years. She was my best friend and will never be replaced. After months of being torn, I adopted a new puppy from a rescue business. Best decision I could have made. Although, she is completely different from Splatter, she has brought on many happy moments in the time frame we have had her. Sorry for your loss, dear Sara’parents. Be happy that she is now fine again and waiting for her beloved humanes on the other side of the Rainbow Bridge. So very sorry to hear your family lost your beloved Sara.Losing a pet is very difficult.I’ve dealt eith it so many times.It never gets easier.It sounds to me that she waited for you all to get back from your trip.Didn’t want you to be sad that she passed while you were gone. your family is in my thoughts & prayers. Has anyone heard of MMS. I used it on my dog with cancer (osteosarcoma) He lived for 4 and a half months and steadily improved till he passed away at 13 and a half. His tumor on his leg had practically disappeared all together. Truly miraculous and improved many other chronic health problems at the same time. skin infections and runny eyes of which he was plagued most of his life. I am so sorry to hear about the loss of Sara. She certainly must have brought a lot of joy to your life. This brings back memories of losing my own kitty Reggie years ago. He was a bright star in my life, who was always there for me as well. Rest well sweet Sara. You will not be forgotten little friend. We are about to lose our beloved kitty Bonez whom I wrote you about earlier this week. Our thoughts and prayers are with you both. Bless you. Bless little Sara. Valerie, Port Charlotte,Fl. What a sweetheart! I’m sure Sara died peacefully knowing you were there by her side. Our sympathy to you and your family. I am so very sorry for your loss. It is never easy loosing a pet, my thoughts are with you all. Dear Michael and Family of sweet Sara: You all have my sympathies as you grieve the loss of your sweet little Sara. I know she was well-loved and enjoyed her time here on the Earth. Its so upsetting to lose such beloved little family members. May the memories of her cute antics always bring a smile to your faces. Lots of love….Jenna and the Romito family from Pittsburgh! I am so sorry to know that she has passed away. I know that you will miss her forever but I also know that you’ll find her later in Paradise, playing and jumping, and you’ll never de parted again. for your loss. Good memories will live forever. forthcoming in a short time frame as nothing can be done at this point. Blessings to all. Michael, I have no doubt Sara waited for you to return. I’m sorry for your and your family’s loss. I’m so sorry to hear about the loss of this sweet kitty…I just lost my little girl Misty on the 1st of July. Please share my condolences with your family!!! Very sorry to hear about Sara I’m sure she lived a happy life enveloped in your love. It is always hard to say goodbye – i think it was much better for her to decide when to go. I hate having to make that decision even though there are times when we must. Michael, I am so sorry for your loss. I don’t know if you remember me. I am the one with the 24 year old Persian and three rescue kitties. You were so kind, when we lost Mittens. I know how much you loved Sara, and my heart aches for you. Losing a pet is every bit as painful as losing a family member. My prayers are with you, in your time of loss. I’m so sorry for your loss of Sara. Obviously she loved you very much because she waited until you came home to go. I am very certain that Sara waited for you to return. Cats are very intuitive. I’m very sorry for your loss. She clearly had a very good life with you. Michael, I’m sure Sara did wait. It sounds like she put her best into hanging on til you got back, then once you were with her again, near her where she felt your precense, she could relax and let go. She felt safe. She released and relaxed, comfortable emotionally. Safe. A good release. She loved you, and I feel for your loss. Be well. So sorry to hear about Sarah. It is so hard to say goodbye to out furry family members. Hold on to the good memories you shared with her. I am deeply sorry about the loss of the presence of Sara in you life and in the lives of your “other” family members. These transitions, although the way nature operates for all of us, are extremely difficult. While “science” cannot say for sure, I believe Sara waited for you and being in your presence gave her permission. Love is really what matters and your family is very blessed to have a lot of it. Sara will always be a part of your memory bank which can be called upon from time to time through photographs and recalling special moments shared with this special friend. I am so very sorry for your loss. It is always so sad to loose a loved one…and our pets are as much our loved ones as are our human pack members. My heart goes out to you but remember that you gave Sara a wonderful home and a happy life and she knew she was so very loved. She will come back to visit you I am sure of this. Listen for her she will be there when you least expect it. Sending love and hugs from California, Nancy and fur kids. So sorry to hear about Sara’s passing. Remember all the good times with her and the good life you gave her. LWe lost two dogs and a cat in the past year and know what you are going though. So sorry to hear of your loss. Losing a pet is very painful & difficult thing to go through. I had 3 dogs before the current 2 I have & and lost all 3 within a 7 month timeframe. The mother was 16 & her daughter & son from her 1st litter were 13 so I know how devasatating it is. Oned thing that gives me strength is knowing I’ll meet them at the Rainbow Bridge. There is nothing like the unconditional love of a cherished pet. My deepest sympathies are with you & your family. I know how hard it is to lose a pet. I’ve lost many, in my lifetime. Maybe it will help you to know that pets have souls too, and when they die, they don’t really “die.” They just abandon a body that no longer functions. But their souls go to the spirit dimension, where they are healthy and happy. If you want to, you’ll see her again, when it’s your time to go into that spirit world. Don’t be sad for her. Be happy that she is out of pain and living in a world, full of love and joy. Her time here is over but as a being, her life never really ends. She’s just crossed over into a different plane of existence. So sorry for your loss, Michael. I am so sorry to hear about Sara’s passing. I’m sure she loved you and knew she was a very lucky kitty. I lost my cat to cancer just after Christmas. I believe the cancer was brought on by vaccinations that she really didn’t need being that she was only 11 years old and a tortie and she was an indoor cat. A month after her passing I adopted 2 male kitties, Shamus and Hobbes, brothers 18 months old, from Cat Coalition through PetSmart. They are wonderful and each has his own personality. They are now learning to live with a 4 month old german shepherd puppy. I’m deliberating on vaccinations, remembering that I used to have outdoor cats that were only vaccinated when they were 6 weeks old and never saw a vet unless they were sick, usually from a cat fight, and they lived until 16 or 17 years! Now I can’t get an indoor cat to live past 12 years! I came to the conclusion that we were over medicating our pets, even before I found your website! I am going to try the homeopathic remedies and adopt a wholistic approach to raising my cats and dog. THANK YOU!!!!!! I feel your loss. This was your little girl. I believe she is at Rainbow Bridge, lounging in the sun AND playing with her new canine and feline friends. (there can be no enmity at Rainbow Bridge). May you be fortified in your sorrow. I hate the fact that your Sara has passed. There’s never any words that can express your true feelings regarding a loss of a pet. You have my deepest sympahty. You have my deepest sympathy for your loss of Beautiful Sara. I have lost serveral pets through the years and it doesn’t get any easier. You remember all the love and joy that they have brought into your lives and thank them for it. I will keep you all in my prayers. Until we all meet again. I am so very sorry for the loss to your pet family. It is so hard to lose these lovable furry babies. My sympathies are with your brother and his family. I have an Australian Shepherd (12) that has congestive heart failure. I wonder sometimes if I should euthanize especially on days when seems to feel bad but overall I believe he is still happy to just lay in his comfortable place and get pets/snuggles as often as he can. Oh Michael, I am so so sorry about Sara. I absolutely think she waited for you to get back before passing. Please send my condolences to the rest of your family and be comforted in the fact that she loved & trusted you dearly. Michael and family: I am so sorry for the loss of your family cat member Sara. She was beautiful. You have many great memories of her to help you toward your healing. Awww.. Sweet Sara, yes she did wait for you Michael, absolutely. Bless her. I am so sorry for your dear loss.. Hugs n Love. Sorry to hear about Sara crossing over to the Rainbow Bridge. Our hearts ache for you and your family. But she is healthy again. She will always love you for all the love and the great home that you gave her. She will forever smile at you! Remember her with a smile for all the great memories that you have. Take comfort in those wonderful memories. Death leaves a heartache no one can heal. Love leaves a memory no one can steal. Those we loved don’t go away. They walk beside us every day. Those who bloom in the hearts of others never fade away. May you find comfort & strength in your memories. I am so sorry about Sarah. I love cats. She looked so young and cute, I might add. So very sorry about your fur baby. I met you and your brother at woof stock. It was a pleasure to speak with both of you. By the way the vitamins are great. Tears are streaming down my face as I try to convey my sadness for your loss of Sara. We lost our sweet Camille to the contaminated pet food tragedy a few years ago. We were so careful about her food, but she liked just a taste of canned food with gravy (she only licked the gravy off of about a teaspoon of food, but that was were the problem was). This year a memorial garden was established at Keystone Lake in Oklahoma to remember all the pets that were lost to this terrible event, and Camille’s name is on one of the stones there. We will never forget her as I know you will always treasure your memories of Sara. Awww, so sorry for the loss of your kitty, Sara. Our beloved animals are so special to us and the pain we feel is measured by the love we shared with them. I’m sure she will be at the Rainbow Bridge all bright eyed and bushy tailed to greet you someday. I lost my “daughter” last year almost a year ago. I planted a rosebush over her grave, and boy, has it sprung up! Every cat I lose, I just have more love for those that remain. I am so sorry. I can’t read Rainbow Bridge without crying. Sorry for the pain of your loss. When I lost Apricot Kitty I was comforted by listening to the music from “Lion King” especially “The Circle of Life”. Thank you for all your efforts to make this web site so available and useful. I am so sorry, to you Michael and your family, for your loss. I fervently hope that the love and support of those around you is helping during an incredibly difficult time. I never understood the impact that animals can have on us until our little Bosley dog came into our lives. He has changed my world and shown me what unconditional love is. I am sure Sara waited for you so she could say goodbye. You must have been a wonderful owner. You’ll see her on the other side, where she is happy and healthy and waiting for you. First, my sympathie, I know what is it to loose a dear animal. My question? As you knew it was cancer and suffering, why didn’t you put her to sleep before all these pains?? Very sorry to hear your sadness over the passing of Sara. What a character and a valued member of the family. I can pretty much say Sara DID wait for her family to all return home, and that each time euthanasia was discussed SHE decided to rally and would go in her own time. I had the opposite with my own kitty Lucy. I am a professional animal communicator and had asked Lucy if we should cancel our visit to family in Spain as she was approaching her own transition. She told us to go, and that she would be fine. A few days later our pet sitter phoned to say she had taken a turn for the worse, and she passed a few hours later. We were distraught, in another country, and flew home the next day to bury her. I asked her why she had left when she had said she would be ok. Her reply? “I was lying in the sunshine in the garden and thought, this would be a good day to die. So I did. And you would have tried heroics to keep me here and I did not want that.” And the bright spot in her passing when she did, was that the next day the ashcloud closed the european airports and we would have been unable to return home for 10 days otherwise. She was a tortoiseshell cat who always knew her own mind! Sounds like your Sara knew her own mind too. Homeopathic Ignatia works wonders for grief – for humans and animals alike. I truly believe our pets are family and that Sara was waiting for her ‘Dad’ ’til the end. So sorry to hear of your loss. I have 4 sweet cats and am not looking forward to the time for any of them to pass. I know I’ll be a basket case!! They do say time is a great healer! I am so sorry about your beautiful Sara girl. She is a beauty. I lost my beautiful dog, Maya, just a year and a half ago. I miss her still. But, the after six months of grieving Maya let me know that it was OK with her to get another dog. That was a good decision for me to make and now I have Elliott. Hearts do heal. God bless you for loving and caring for Sara. She had a good life because of your family. Patricia and Elliott. Albuquerue, New Mexico. PS. 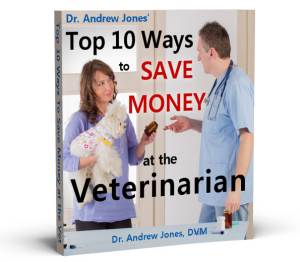 Your brother Dr. Andrew Jones is a wonderful vet and I think you are fortunate to have such a kind and caring brother. He has helped me with my pets. Thanks again. My condolences on the loss of your little Sara. I’m so sorry you lost your beloved Sara. She looks just like my kitty and my heart just did a leap when I saw Sara’s picture. I’ve never had a human child so, I don’t know what it’s like to lose one, but I don’t think losing a beloved pet like you did your Sara would be much different. We love them so very much. I read about “Rainbow Bridge” a short time ago and it really touched my heart. Doesn’t it make you feel just a bit better knowing your Sara is in such a wonderful place and not suffering anymore? Sara is now playing with all the other angel kitties, enjoying her eternal kittenhood. Remember all of the warmth that she brought to your family….. So sorry for your loss. These little angels come into our hearts and stay forever. She will wait til that day for you to meet with her again at the Rainbow Bridge. Until then, she is not in pain she is not suffering and you still have the memories to keep her close to your heart. And of course she waited for your return to say good bye. So sorry to hear about Sara. They are so brave, aren’t they? Our dog Buddy died from cancer last summer, and we miss him so much. Hopefully your brother will bring in a new furry family member. It has helped us heal to have Marley (we were pet sitting for him when Buddy passed, and he needed a new home). We had already fell in love with him, so he found his new family that summer. Sara is adorable in the photo here, I am sure that she brought much joy to her family. God Bless you all with the good memories of her. I’m so sorry to hear of the loss of your beloved Sarah. I know how much you must be hurting. Only “animal” people can understand that we love our pets just like family. They are just like children. I have to admit your story brought a tear to my eye. My heart and prayers go out to you and your family. I am so sorry to hear about Sara. She wasnt even my cat and I cried for her. She will be in kitty heaven watching down on her family….she is a peace, no labored breathing, no going hungry because she can’t eat, no pain. I almost lost my cat, Kimi of 20 years. She was not eating or drinking. Took her to the Vet and she had high sodiom is what I was told. Spent quit a dollar to save her but I love my Kimi, it would had been very hard to loose her. I know how it feels to loose your babies. I’m sorry for your loss. I know Sara is waiting for her family at the Rainbow bridge. So sorry. I have dogs but care for my neighbors cats at time, who I love, too. In spite of your loss, count yourself blessed to have any pet die in their sleep at home. We just can’t seem to manage that with our dogs, as prolonged uncontrollable pain, incontinence, and immobility seem to be the cues for euthanasia. It’s at once a blessing and a curse to have the power of life and death in one’s hands. I have to keep telling myself, they did not suffer. Prayers to you and our furry, scaley, and feathery friends. I am so sorry about your losing Sara. Our pets become part of our families, and it just hurts so badly when we lose any of them. It’s been over six years since I lost my little buddy Sneezie, a Siamese/Manx mix. I still miss him. One thing I’ve learned, though, they can never be replaced, one can only go on to love another little pet, and they will be treasured as well. Time will lesson the pain all of you are feeling right now. May God bless all of you for your love of your little family members. We are sorry to learn of the death of any pet, but it must have been painful for you all, as you realised there was no known cure for her condition, Sara, RIP, ‘You did indeed indeed hang on to know the one who loved you most was there for you and you then could rest in peace’ I know as I have been in the same situation with some of my own pets, and they did exactly the same. Just remember her as she was when at her best! I do feel that Sara waited for your return…and grateful that she passed peacefully in her sleep..
I’m so sorry for your loss and the pain that you are feeling right now. You will see your Sara again, I am certain of this. I am not a kook, I am a nurse with over 27 years of helping the sick and yes the dying in their last moments. I believe in God and all he gave and continues to give us. He helps to heal us and comfort us when we hurt and gives us glimpses sometimes of things to yet come to all who believe in him.In my mothers later years she lived with me and my old cats, Bandit was 20 when she died and Lucky was 22 years old when she died. When I worked my mother and those cats spent alot of time together, they loved each other so much. When my mother was dying her last day was spent first wishing me a Happy Birthday at the time of morning I was born, she woke from her coma. The whole rest of the day was showing her 8 remaining children the miracle of death. She was blind, but that day she saw with such clarity everything around her, she also had conversations with us and all the loved ones who died before her, she shared with us through these conversations, all those coming to greet her on the other side. The best things I recieved from that day besides the love of my mother to her children, was the gift of her patting her leg and calling for Bandit to come to her and sit in her lap. You see I was raised Catholic and in my youth the Nuns and Priests would tell me that animals did not go to Heaven because they didn’t possess a soul. I now know differently because God allowed my mother to comfort us that day and show us that what we are doing in this life is not the end and that all of those, be it people, or animals, or other souls we come to love will come to greet us and be united with us again. So sorry to hear about Sara. Your brother and his wife are very lucky the decision to euthenize her was taken out of their hands. My husband and I were not that fortunate with our first dog. My husband vowed not to have any more animals for at least one year. Three days later I found our Timex on the internet. Pet of the month, they forget to tell me he was already returned twice because he was deathly afraid of men. He had been beaten by a man for the furst year of his life and was a forced surrender. Within a month, Daddy was his best friend and till this day I can say this boy is the Love of my Life. Don’t wiat if you have love to give, there are too many souls out there that need you. Sarah is so beautiful and sweet. I am very sorry for your loss of her and sympathize with your grief. May her wonderful memories serve to ease the pain and keep her close to your heart and bring a smile in the midst of tears. I am so very sorry to hear of your loss. She’ll meet you at “The Rainbow Bridge” on of these days to greet you. May angels comfort you in your time of loss. My deepest condolences on Sara’s passing. She is now free from pain. Blessings to her over the Rainbow Bridge. Our deepest sympathy for the loss of your beloved Sara. As a family member and friend she will be deeply missed. We understand the hurt and sorrow your going thru and want you to know that your friends in CO have our arms around you for support and hearts are hurting for you. Miss Sara has some great company!!! God Bless you Michael, your family and Beautiful Miss Sara. I am so sorry for the loss of your beloved Sara. It is so tough to lose our pet’s, they give so much unconditional love and are like one of the family. I was crying while reading the story. I am sorry to hear about your kitty. Its very hard to lose someone so very close to you. I´m very sorry for the loss of your beloved cat Sara. I know how close we come to feel with all of our pets and how devastating it is when one of them dies. She was very close to you too since she waited for you to get back so she could die peacefully. God bless both of you and Sara. I am so sorry to read of the loss 0f your dear Sara. It is never easy to say goodbye to one we love so very dearly. I hope time will heal the hurt. We have lost a good number of pets through our our lives and it never gets any easier, We have always thought that we we would not be getting another animal because it was too painful but then we would see a cute little fur baby that would steal our heart away. So we were off to the races again. You will never forget Sara, but getting another pet helps to fill the empty space, anyway it did for us and it may help you too. I will keep all of you in my prayers. A VERY TEARFUL STORY TO READ AND MY DEEPEST CONDOLENCES TO SARA’S FAMILY! STORIES LIKE THIS ARE SO VERY DIFFICULT FOR ME BEAR AND I KNOW I WILL BE FACING THE DEATHS OF MY OWN 4 CATS WHICH WILL BE EXTREMELY DIFFICULT! I VOWED MANY YEARS AGO THAT I WOULD NOT PUT MYSELF THOUGH IT AGAIN AND SO FOR 4 YEARS I SHUT MYSELF OUT OF BEING OWNED BY A CAT BUT THEN THOUGHT OF ALL THE HOMELESS ANIMALS OUT THERE IN NEED OF A LOVING HOME SO FOR THE PAST 14 YEARS I AM PROUDLY OWNED BY 4 INDOOR CATS!! I am very sorry about Sara.Remember all the sweet memories you had with her. All my condolences to Michael and family. So very sorry to hear the news about Sara – she looks just like my cat Capers who is just 14. I shall give my cat and dog (Jacob – 15 month old groodle) extra bog huga tonight. Sorry to hear of your loss and like some many have commented it is always hard. I too have lost many yet I feel that they are in a better happier place waiting for me. God has always given me the strength to carry on and has provided miracles just when I needed them. I pray that you too will be granted a miracle to ease the pain you are feeling. God bless, my thoughts and prayers are with you. I am so sorry about the loss of your Sara. Thank you for giving your sweet girl such a wonderful life. I can feel your sadness as my cat just died last month. Still miss him everyday and I know you also miss her, sarah. The bond between pets and their humans is such a special experience and each one different. To lose them is so sad but when you can look back and smile at a moment you had together, it helps knowing how much love God meant us to share with these creatures.I am sorry for your loss. I have lost my loved ones through euthenasia and also when they decide it’s time to “leave”. Even though both are very sad, the joy these little creatures bring us deepens our lives in ways that can’t really be put into words. I will light a candle for Sara today as I do for my own loved ones to wish them a peaceful journey. I hope your reading these many comments in some way helps your heart heal a little. I am sorry to hear about Sara. Cats are such spiritual beings. I believe she wanted to have the time to say good-bye to you. She loved you very much and must have felt your love for her. Shannon and I wanted to say thank you to everyone for your heart-felt condolences and thoughts – very touching, and very much appreciated. Sarah was only 12 (11 when the cancer developed, she just turned 12 in March), which made it more difficult. But we’re glad she passed away peacefully, in her sleep, at home. She is sorely missed by us all. The loss of our pets does leave a void…certainly they enrich our lives far more than we can imagine…they ask for so little and give so much in return…Sara loved you to the last breath…may she rest in peace. God bless you for all you did for her during her time here. Michael, Shannon and family, My Heart and Prayers go out to you. May your memories fill your hearts with Joy and Love. May you, Michael, Shannon and Family have many beautiful memmories of Sara. So sad that she passed. She went to the Rainbow Bridge in her sleep so you didn’t have to make that decision and feel sad. God bless her and all of you. Its sad losing a member of your furry family. Know that she is safe and pain free. I am so sorry. It is always so difficult to lose a beloved and innocent angel. They give us unconditional love. 3 years ago, I lost my 16-year old Dachshund buddy, Duke….but then, into my life came a beautiful, all black, German Shepherd puppy whom I named Elsa…she is a wonderful, loving friend. Time does heal all sorrows…my prayers go out for you. Please know my heart and prayers are with you on the loss of your precious Sara. My cat Puddin was with me for 19 years and although it’s been ten years since she passed and I’ve got new babies to care for I still miss her. Please know she is waiting for you all at the Rainbow Bridge and one day you will be united again. So sorry about your loss. Sara has waited for you to say goodbye before her peaceful transition. What a perfect way to leave this world! My thoughts are for you and her. Just learnt about your loss of your loving furkid – it is certainly hard to make decisions regarding our furbabies when they are ill & harder to take when they finally leave. I am glad she managed to die peacefully at home among her loved ones – she must have been content to let go in familiar surroundings. At least she’s free of further pain & suffering! Dear Michael and Shannon, my thoughts are with you on the loss of your girl. We too have a dog living with mast cell tumours which is not treatable at the moment since it has spread, so I understand the pain you have been through in seeing you girl ill. I believe that pets go to a special place when they leave us, and a part of them is always with us. May the good memories you have of her ease your pain. I am so sorry about your kitty. I too lost one of mine two weeks ago and feel the loss as you must. Cherish the memories and be glad she waited till you came home. What better than to pass away in one’s on surroundings with loved ones. Dear Michael & Shannon, you are in my thoughts and prayers. Having travelled the similar road too many times, I know how painful is the loss of a beloved companion. Sara was a very blessed kitty to have your family to provide her with a warm, comfortable and cherished life free from want. I truly believe all our pets will always be with us and will be waiting to greet us when we, too, leave this earth life for they would not have been given us if they were not already a part of our soul before they arrived on this plane. May God heal your heart, comfort you and, in time, restore to you all the wonderful memories of your life with Sara. My deepest condolences. I am so sorry to hear about Sara,it is never easy to loose a beloved pet they are our family. I do believe that she waited for you to be home.One day you will all be together again. We just had to put our sweet Sonny Boy (an 11yr old yellow lab) to sleep recently, so I understand your loss. I was also fired from my place of employment for taking the day off which they were aware that I would be need to do, since the diagnosis of lymphatic cancer a month prior. His nasal passages were swelling and we did not want to risk having him die due to not being able to breath. I find it alarming at the number of animals that die from cancer, don’t recall hearing about them dying of cancer when I was younger? Also the range of cancers, bone, breast, lymphatic and so on. Seem to me we are creating the same sickness that we humans are living with more and more. The medical (sickness) industry sure seems to be a great success in regards to keeping all living things from living healthy happy lives. Have they honestly brainwashed everyone into believing there is nothing we can do to change this horrible cycle of chronic illness that we live with? At least your sweet Sara is no longer suffering and I am sure enjoying running, playing, chasing endless mice and taking all the cat naps she wants. It is always very difficult to make that final decision. Sara made that choice for you. I am sure she waited to be with you once last time. I am very sorry for your loss. She went in her sleep, so she would have passed on peacefully. Surely she is in a place with lots of sunshine, blue skies, green grass and lots of love waiting to be united with you one day. I’m sad to hear about your kitty. My very best to you and your family. I am so sorry for the loss of your friend, Sara. All the best to you and your family. I am so sorry for your loss, I know how difficult it is to lose your best friend and buddy. Best wishes to you and your family. Sorry to hear about Sara, poor little thing, I just lost two cats in three months. One was 18 so she lived a great life and she is missed. The other one unfortunately had cardiomyopathy and died at 6, it was such a shock he died so suddenly I still can’t believe it. Please accept my condolances it makes me so sad when they get cancer and sick. Thank You for ALL of your comments, they are much appreciated. I am so sorry for the loss of your beloved Sara. I know how much pain you all must be feeling, I lost my Gus over a year ago and I still cry when I think of him. I am so sorry for your loss; but be happy that you shared so much while she was here with you. When ever we grieve the loss of a loved one going home loved ones who predeceased them are celebrating their return home. May you be comforted knowing that Sara was welcomed by others she had known and loved who crossed over before her just as there will be celebration or welcoming when we too cross over and are reunited with loved ones who predeceased us. I´m so sorry to hear of your loss. Sara must have been a beautiful and very loving cat. This is very obvious from the details about how she left you. I too have experienced pet loss and my two Huskies stayed with us until they knew it was time to leave. How do I know? Through their communication. It´s beautiful to experience such love at this departure when it´s time for them to leave for the Rainbow Bridge. So sorry for your loss….we just had to put down my 12 yr old American Eskimo…..her body was shutting down….hardest thing I had to do. I feel your loss….. Very sorry for your loss.Our pets have a special place in our hearts. They bring us much love and joy. Only those of us who have been through this kind of loss can truly feel the pain it brings. I lost my beloved 21 yr old Siamese(Wolfgang. That was tough. So sorry for the loss of Sara. I am sure she brought you much love. I appreciate all the work you do with the internet for Dr. Jones. Our thoughts and prayers are with you and your family. We understand the pain of losing a furry friend. I do believe they are still with us in spirit and we will see them again. Hope you feel Gods hand of comfort. So sorry for your loss of Sara, I just lost Willow my yorkie Poo,of sixteen yrs.my heart is broken as I am sure yours is. Haven’t been here in awhile, so I’m sorry to respond so late. August 20, 2011: I just read about Sara. The pain is unbearable, I know! We had two go to Heaven within 48 hours (they were 15 & 16 years old and not well); it was a total shock to have them both leave so close together. They were both not well for many months prior. They were obviously meant to go together! That was April 25th and 27th, 2010. Then, July 10th, almost 5 weeks ago, our 22 year old went to Heaven. God visited us, as we prayed for Him to, regarding each pet and comforted us about them being with Him and that we will have them for eternity, not to worry. God gave me dreams about 2 of them and after this last one went (his name is Smudge), God showed me a symbol of a candle with a flame on a wall during my grieving and imprinted on my heart, LOUDLY, that LOVE WILL NEVER DIE! I cried and cried with such relief. God has also shown us that He loves our animals MORE than we do; after all they really do belong to Him as He created each one of them so very lovingly and special; He just LETS us borrow them for now but I think He will let us have them by our side for eternity as well. I always picture myself in Heaven with all of our animals and many other animals. It will be so very, very, very PERFECT THERE!!!! He calls them home just like He calls us home when it is time. May He richly bless you with His peace and comfort. And I pray you also get dreams and/or visions of your little Sara that will bring you much hope and joy always! Thank you for loving her and caring for her here on earth! May God richly bless you both! Sara did wait for you,cats have esp,you know she loved you very much and she she knew that you loved her. I lost Alley 2 weeks ago after 20 years and my friend lost peak a boo at the same time they are missed and in our hearts always.I hope we all heal soon as you know our furry friends are loaned for such a short time but I would not have missed one minute of all that love. I almost lost my cockerspaniel a few weeks ago. My heart goes out to Michael & Shannon. Our pets are a part of the family and we are heart broken when it is their time to pass. Although our pets are gone they live in our hearts and memories forever. You both are in my prayers. you know Michael and Shannon, we have the same situation. I have a labrador named labbi. someone poisoned him. that’s why it is really painful for us.when he was brought to the vet by my husband, the vet said what really happened to him. and told to my husband that he will not last long.. on their way home, my husband told him pls dont give up you can make it. still he hangs on.. and when they reached our house, after laying down the floor, that’s the time he died..